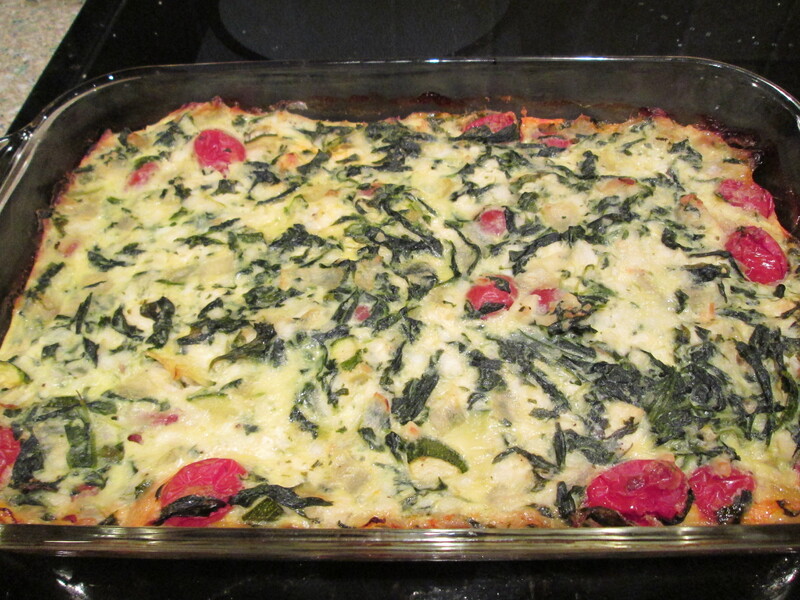 Tonight I did a cooking demo of one of my favorite recipes, Spinach Quiche. It was a huge hit! The theme of the night was “Power Breakfasts” and this fit right in. It is a low-fat, high protein recipe that is great for breakfast, brunch, lunch or even dinner. It is extremely versatile in that you can change up the vegetables you use. I personally love adding mushrooms, artichokes, zucchini, peppers or tomatoes. You can also play around with the cheeses you use. I have made it with cheddar and feta cheeses and they were also very good. It is impressive enough to serve for company and also easy enough to make on a Sunday night so that you have a great and filling breakfast for the week. You have the option of making it with a crust in this recipe or without a crust as in my Greek Crust-less Quiche. 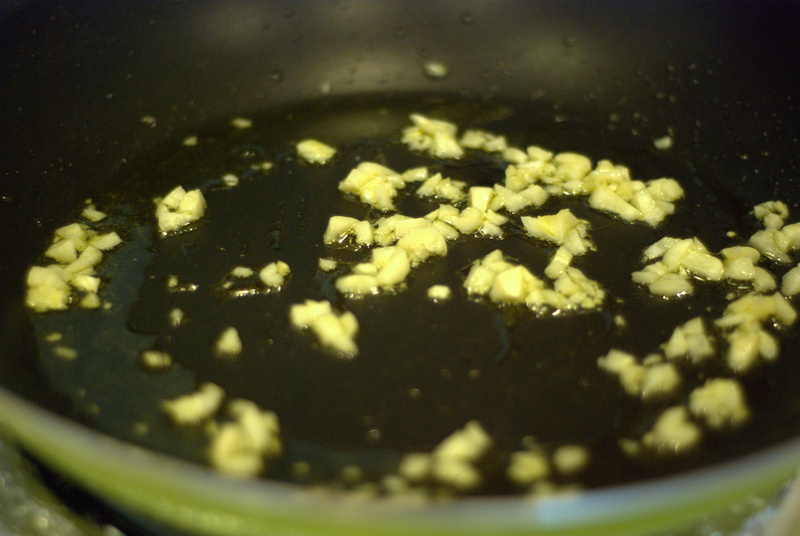 Place olive oil in a frying pan and heat over medium heat. Add the onion and sauté the onion until softened and slightly brown, about 5-7 minutes. Let cool. Defrost spinach and squeeze out all excess water. This is an important step. If you leave liquid in the spinach the quiche will be watery and not firm. If you are adding other vegetables you should saute those as well and drain them if they produce a lot of liquid in the cooking process. Add the mixture to pie crust and bake at 375 degrees for 40-50 minutes. The top of the quiche should be golden and firm. Let stand at least 10 minutes before serving in order for the quiche to set. I am excited to share one of my favorite go-to’s, Turkey Chili. When I started my weight loss journey I came up with a few recipes that were easy, nutritious and most importantly, taste great! One of the reasons I was successful in losing 60 pounds is that I know how to cook. I never felt like I was on a “diet” because I came up with recipes like this which are extremely satisfying and filling. I made this once a week for months and still cook it often now. 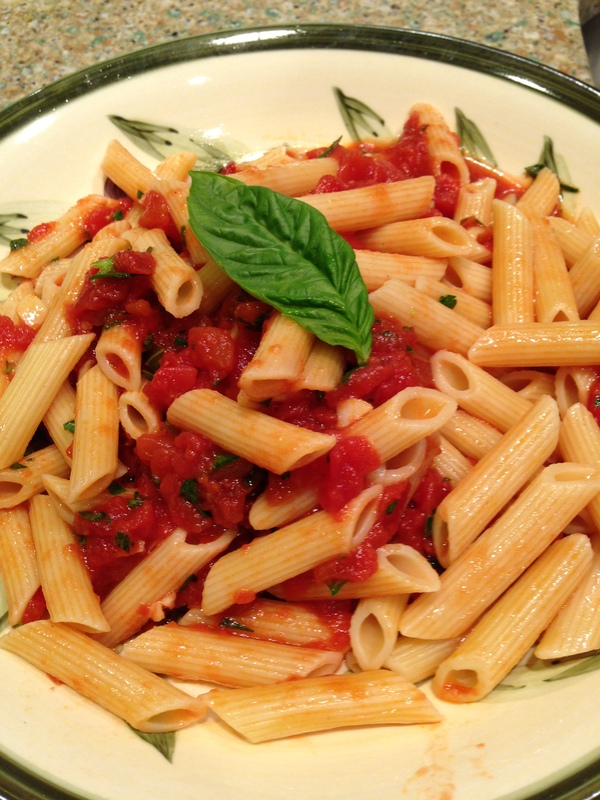 I usually make this with dark meat ground turkey – ground turkey thigh. I think it more flavorful and filling with the dark meat. It can also be made with ground turkey breast, lean ground beef or veggie crumbles if you want to make it vegan. The chili has a great taste due to the fresh garlic, onion and pepper. The spice combination is wonderful; the vinegar adds a little bit of tang while the bay leaf adds depth of flavor. It is fun to add different toppings. Some of my favorites are guacamole or plain diced avocado, diced tomatoes, scallions, fresh cilantro or crushed tortilla chips. The more toppings the better in my opinion! I also like to add a few dashes of hot sauce and a squeeze of lemon or lime right before serving. Heat olive oil over medium heat in a heavy bottom pot. Add the onion, bell pepper, turmeric and a pinch of kosher salt. Sauté until the onions begin to soften and garlic is fragrant, about 5 minutes. Raise heat to medium-high. Add the ground turkey and sprinkle in ½ teaspoon salt, the chili powder,cumin, pepper and oregano. Work spices into the meat cook until it is crumbled and no longer pink, about 5-7 minutes. Add the beans, diced tomatoes, vinegar and bay leaf. I put a little bit of water into the tomato can and stir it around to get the stuck tomatoes and juice out and add that to the pot as well. Stir well so that all the ingredients are cooking together. Bring to a boil. Cover with a tight lid and reduce the heat to low. Let simmer for 10 minutes. After 10 minutes, remove the lid, stir well and it is ready to serve. Welcome to my first post in over four years! I am still amazed that there are people coming of this blog on a daily basis without new content. I would like to think that it is because the recipes and articles I have published in the past are timeless and useful to the readers who have been visiting site in my absence. Thank you to all of the followers! Even though I have not been actively blogging I can assure you that I think about it often, have written dozens of posts in my head and envisioned a grand relaunch. The reason I actually am writing this post is because I am scheduled to cook this for a group of 50 ladies this week for my local Chabad Culinary Club. I was forced to put pen to proverbial paper and write this recipe. I figured that since I was taking the time to actually type it out I should post it as well. And here we are. I have had the opportunity to demo other recipes for the club in the past. It meets once a month and is a place to learn new recipes, sample tasty food and socialize. This month the theme is Asian food and I thought my Lettuce Wraps would be a fun dish to add to the menu. They are easy, healthy and so very delicious. There is another reason I wanted to share this dish. While I have been on hiatus from blogging I have been on a weight loss journey that has changed my life. I have lost 60 pounds over the past 2 years and have kept it off for over a year. The transformation has been equally physical and mental. These lettuce wraps have been a staple for me while losing and maintaining my weight. They can be made with ground chicken, lean ground beef or veggie crumbles if you would like to make them vegan. They are a popular restaurant menu item, and there is no reason you cannot easily make them at home with probably half the fat and sodium. They are incredibly flavorful and have a good amount of veggies as well as protein which makes them surprisingly filling. Plus, who does not love eating a lettuce wrap? 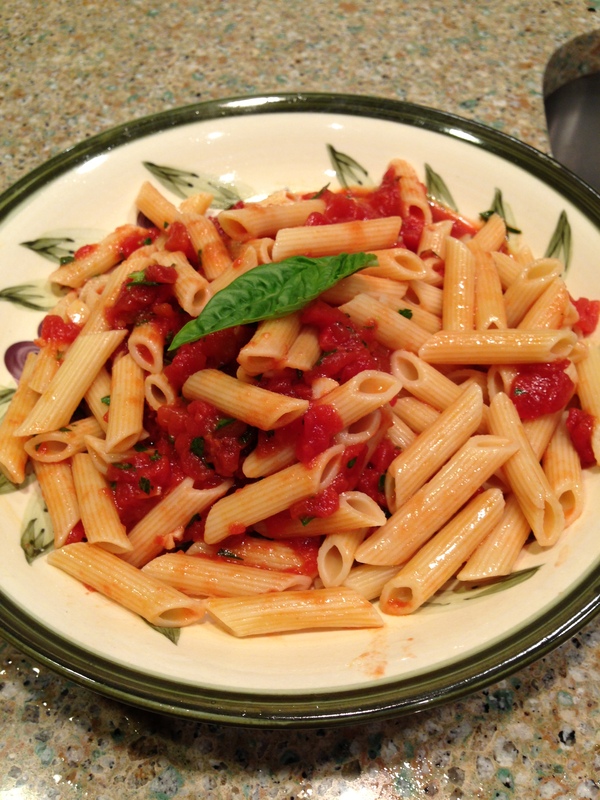 I hope to share the many other recipes that have helped me with my weight loss. Between my hectic job, family, kids activities and my own fitness and self care blogging simply fell by the wayside. It is my hope that this first step will be the impetus I need to share the dozens of posts, recipes and tips that have been floating around in my head all these years. Take apart the head of lettuce, rinse each leaf and set aside to dry on paper towels. Heat olive oil in a large skillet over medium heat. Sauté the ground meat with a healthy pinch of kosher salt until cooked almost all the way through and crumbly, about 5 minutes. If you are using ground beef it is best to remove it from the pan and drain the excess fat. If you are using ground chicken breast or veggie crumbles you can leave it in the skillet. If you have a mini chopper, or mini food processor it is easy to put in the garlic, ginger and onions and pulse until it is finely chopped. This a time saver especially if you are making more than one batch. Add the diced onion, 2 chopped scallions, green pepper, garlic and ginger. If the vegetables are sticking, you can add a bit more oil. Cook over medium heat, stirring often until the onions are translucent, about 5 minutes. Add the mushrooms and cook for another 3 or 4 minutes until all the vegetables have softened. If your ground beef is on the side this is where you would add it back to the skillet. Add soy sauce and rice wine vinegar and stir well. Lower heat to low and add the hot sauce and toasted sesame oil. Allow the mixture to cook for 3 or 4 more minutes so that all the flavors combine. If your lettuce is wet you will want to pat it dry before serving (no one wants to eat a soggy lettuce wrap). Place a generous amount of the meat mixture in the middle of each lettuce leaf. Garnish with finely chopped scallions. 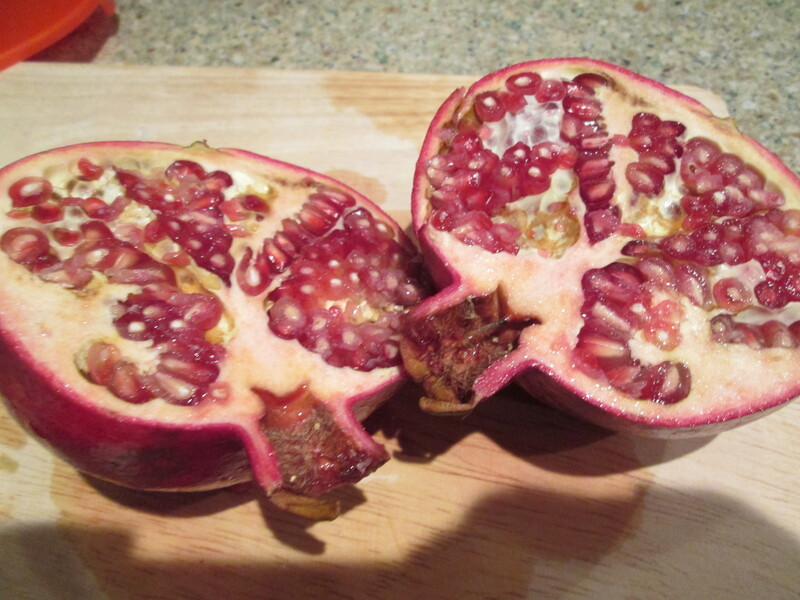 The theme for the kosher link up this month is “Pomegranate” (see below!) I admit I was not quite sure what I would come up with for a pomegranate dish, but being that I have not posted for quite some time I was determined to write a decent recipe featuring the pomegranate. I think I have accomplished my goal! This salad is sweet, savory and full of flavor. It is also super easy and versatile. For those of you not familiar with this ruby red fruit I encourage you to try it out. There are many health benefits of eating pomegranates as they are rich in antioxidants. Nowadays, you can find the juice in any grocery store, usually in the produce section. If you are eating the seeds as opposed to the juice there is much less sugar and more fiber. Some people do not like the thought of actually crunching on seeds, but I love to add different textures to my food. The other aspect that normally keeps people away from eating pomegranate seeds is the fact that they are not so easy to get out of the fruit. There are several ways to get them out. I gently squeeze and tap them out of the membrane once it is cut in half. There are actually you-tube videos on how to do this! Rosh Hashanah (the Jewish new year) is right around the corner. Pomegranates are often featured on the table during this holiday. This salad would be a lovely starter to a festival meal. It is also a really nice fall salad for any other day. The ingredients are pretty basic, but you can really add whatever you like. 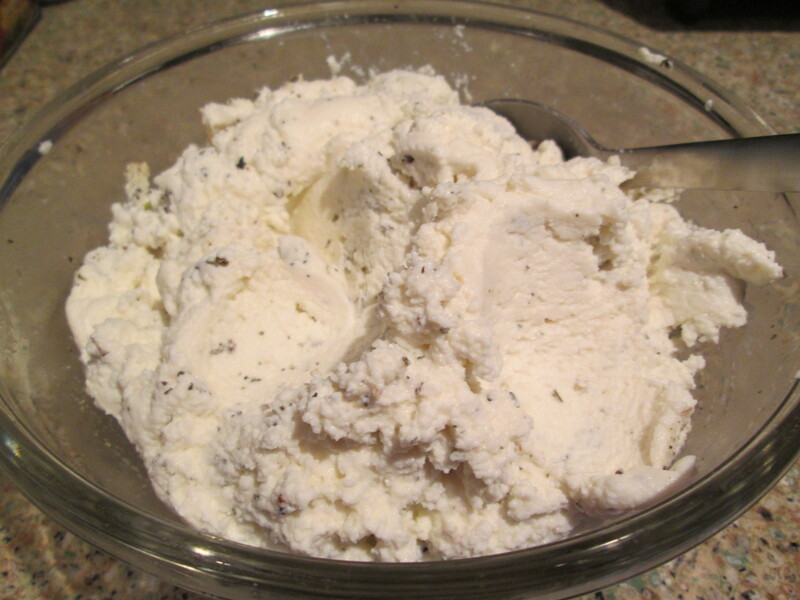 If you are doing dairy, then crumbled goat cheese would be wonderful in this. To go along with the fall theme you could roast some butternut squash pieces and add them in as well. I love the butter lettuce because it is so tender, but you could also use romaine. Pecans are the epitome of fall which is why I picked them for this salad, but you could substitute any nut you like. The possibilities are endless! My favorite part of the salad is the different textures as well as the sweet and savory flavors. This will be one of my fall salad go-to’s in the future for sure! In a microwave safe bowl heat up the water for one minute. If you do not have a microwave you can do this on the stove. You want the water to be hot, but not boiling. Add the sugar and 1/4 teaspoon kosher salt. Stir until the salt and sugar have dissolved and then add the pecans. 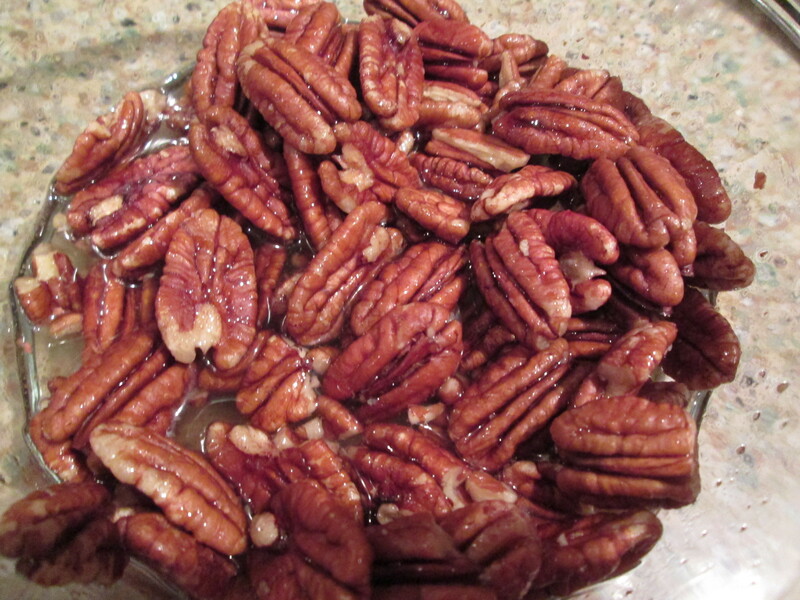 Coat the pecans with the sugar water. Coat a foil lined baking sheet with non stick cooking spray. Pour the pecans on to the sheet in one layer. 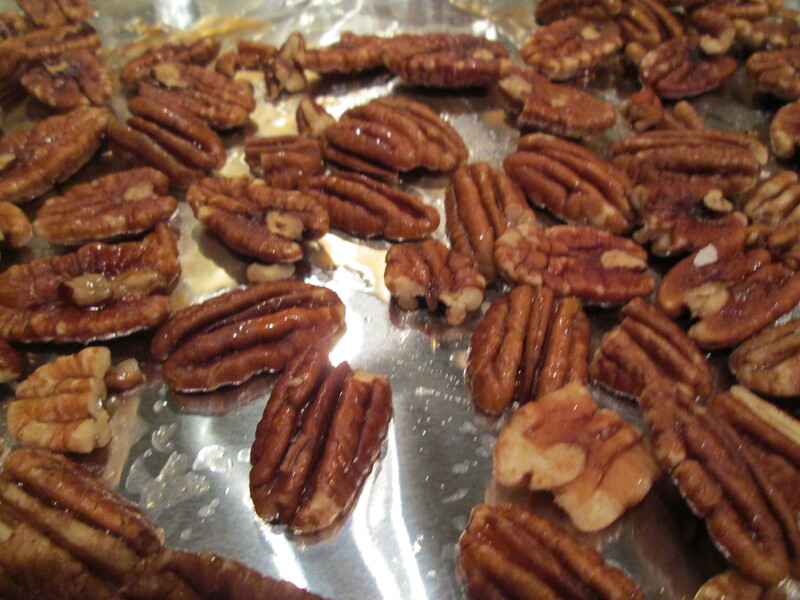 Cook the pecans on the top oven rack until they are fragrant and toasted, about seven to eight minutes. Remove from the oven to cool and set aside. 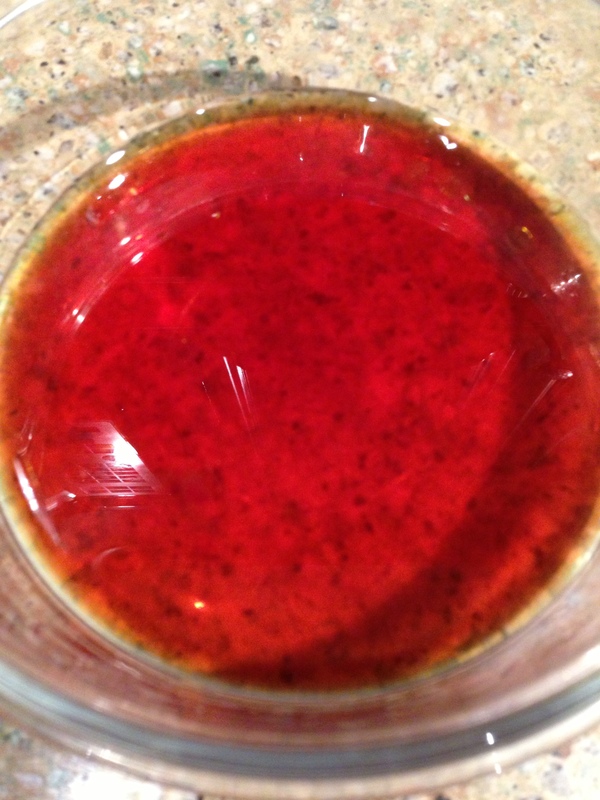 To make the dressing pour the vinegar, pomegranate juice, 1/4 teaspoon of kosher salt and ground pepper into a bowl. Gradually whisk in the olive oil. Place the butter lettuce in a large bowl or on individual plates. 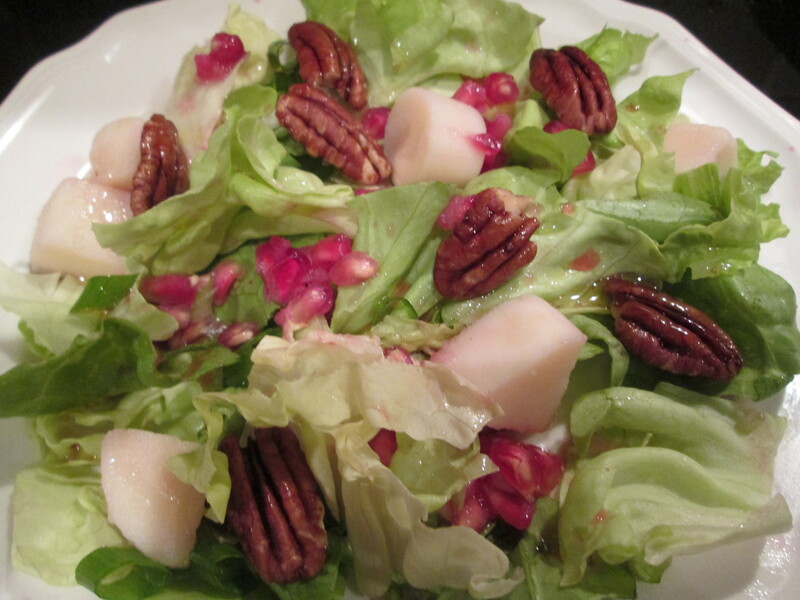 Scatter the scallions, hearts of palm and pomegranate seeds over the lettuce. 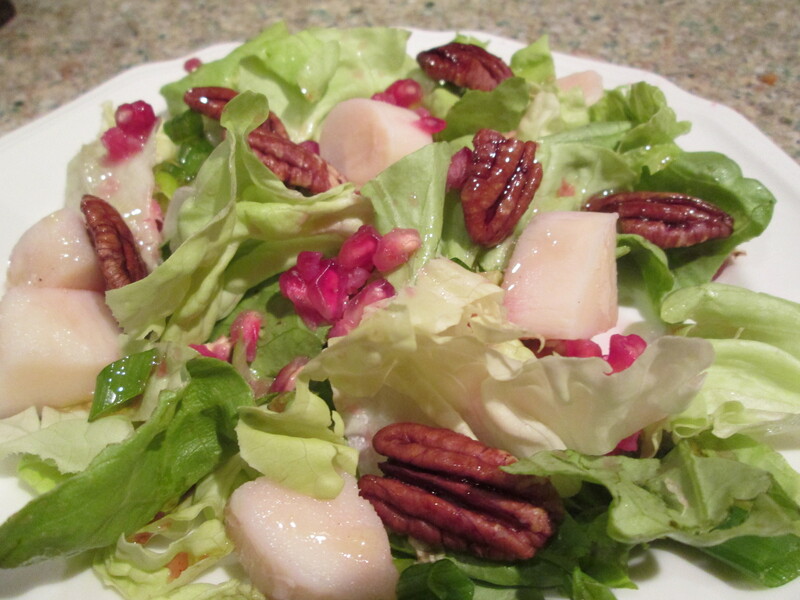 Add the cooled pecans and drizzle the dressing over the salad right before serving. Quiche is one of my favorite recipes. It is incredibly versatile and easy to make. 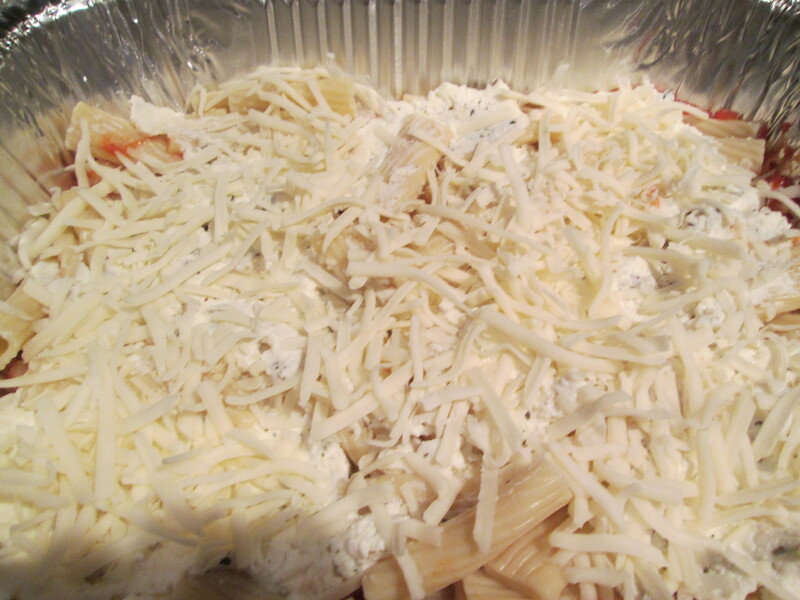 Just change up the cheese and the veggies and you can have a new creation at any time. My version is loaded with vegetables and low-fat cottage cheese and only three eggs and one egg white in the entire recipe. Taking the crust off the quiche is another trick to cut down calories and fat. 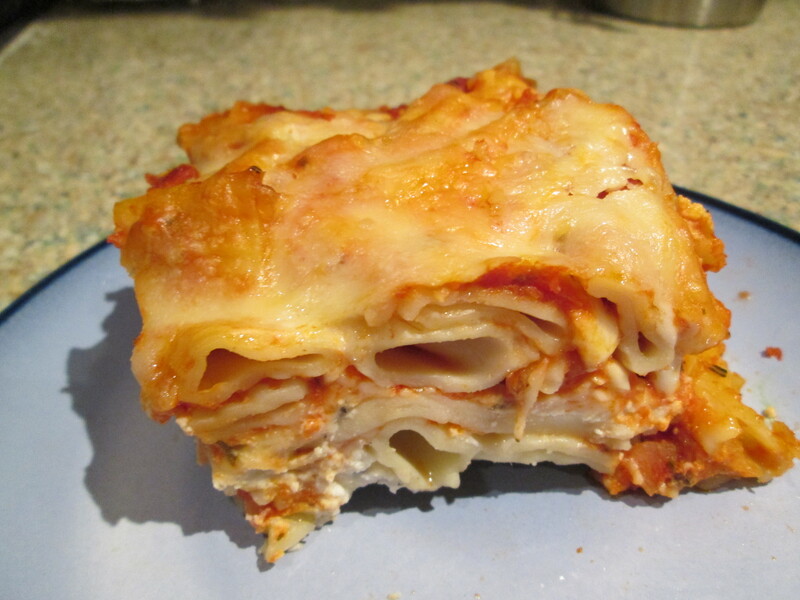 The base is so delicious and flavorful that you will not miss the crust at all. Traditional quiche recipes use a full fat crust, a dozen eggs and heavy cream. My recipe is a lot more health conscious so there is no need to feel guilty eating this any day of the week. 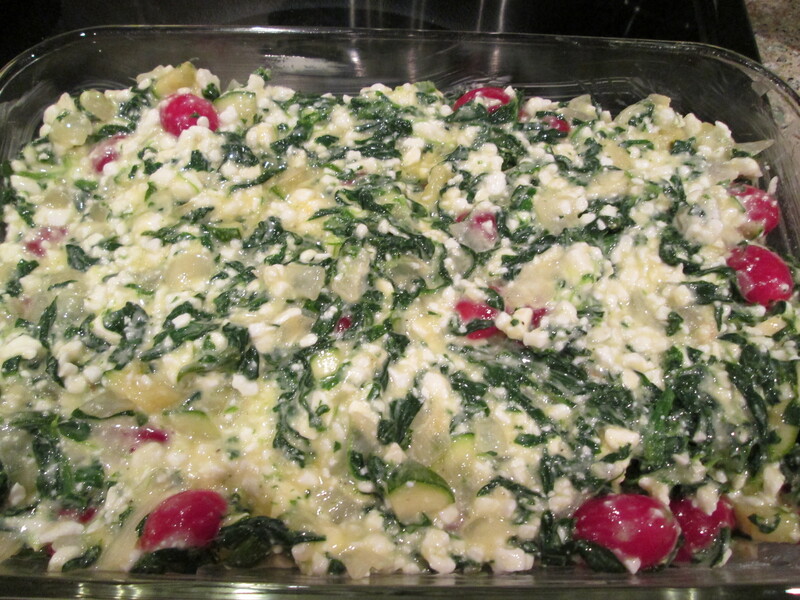 The kosher link up for this month is a dairy dish in honor of Shavuot (see below!) This is a Jewish holiday where it is customary to not eat meat. Unlike other Jewish holidays filled with chicken soup and brisket, this holiday is known for blintzes, cheese cake and other dairy delights. This quiche is perfect for Shavuot, and truly any other time of the year. 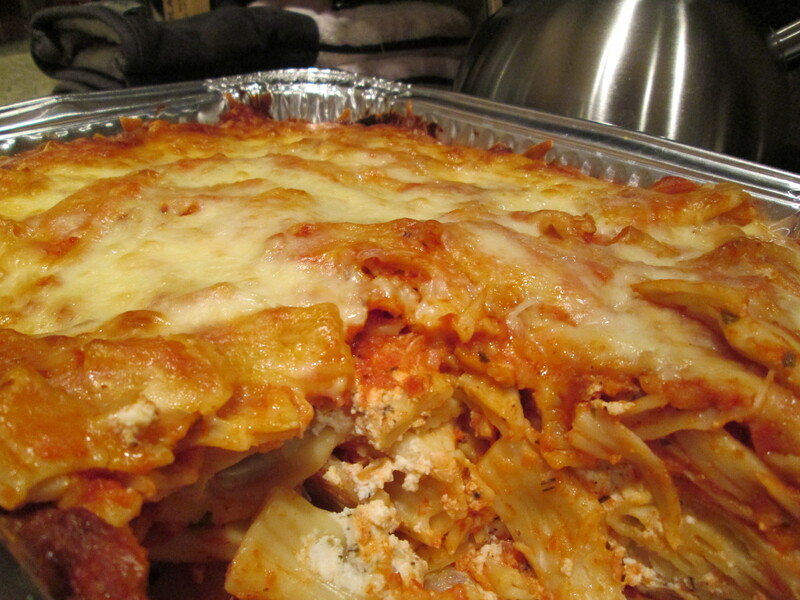 I often make this on a Sunday and then cut it up into six individual servings. I wrap each piece in plastic wrap and then put them in a freezer bag in the freezer. Just defrost a piece in the microwave for a healthy breakfast any day of the week. It can also be served with a side salad, whole grain toast or veggie sausage for a great breakfast, lunch, brunch or dinner. 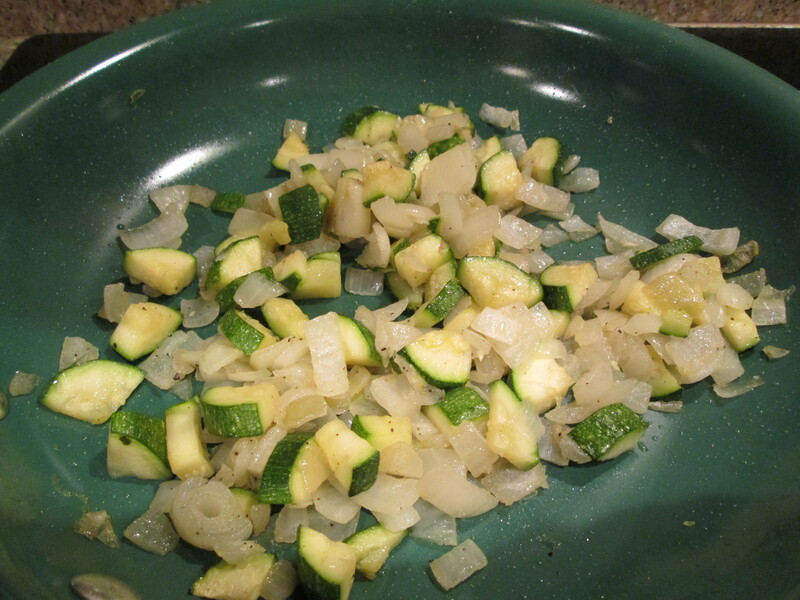 Sauté the onion and zucchini over medium heat until softened in the olive oil, about 5 minutes. Season the vegetables with a pinch of kosher salt and ground pepper. Let cool. Defrost the spinach and squeeze out all excess water. 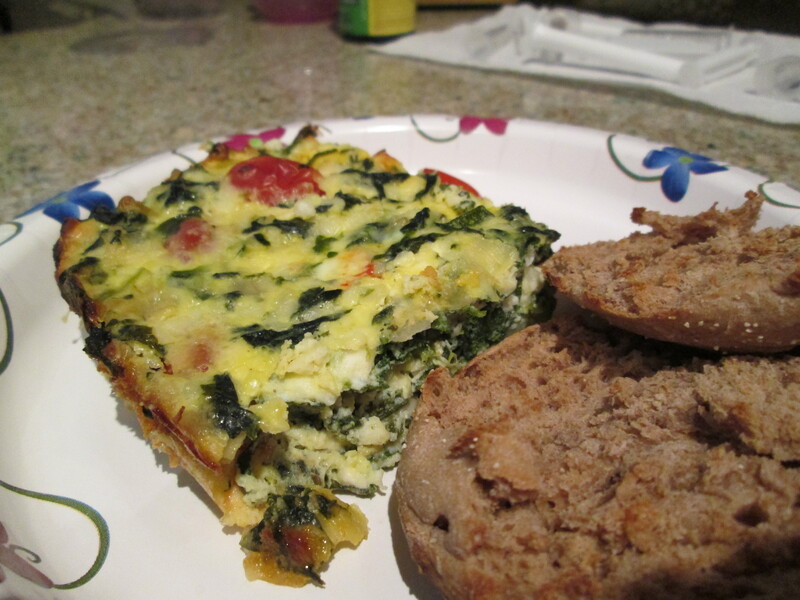 It is important that all the water is taken out of the spinach otherwise the quiche will not be right consistency. 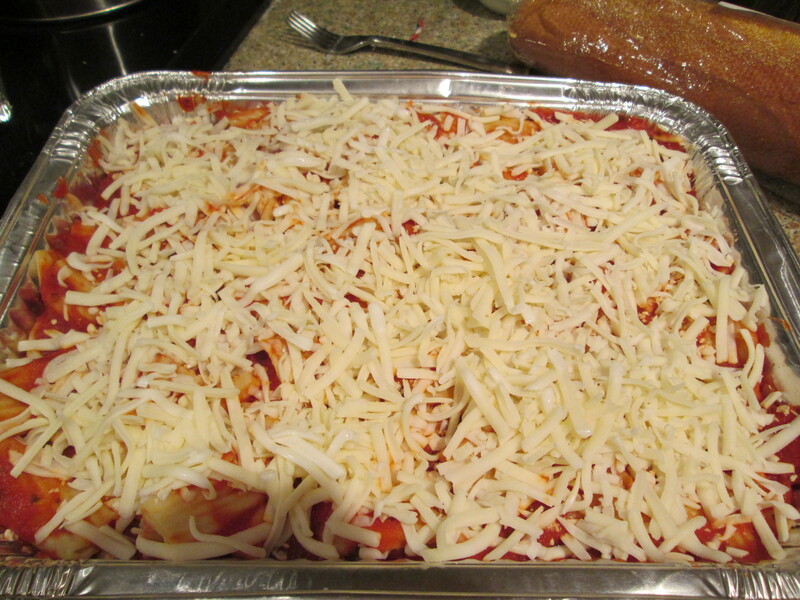 Coat a 7 x 11 baking dish with nonstick cooking spray. 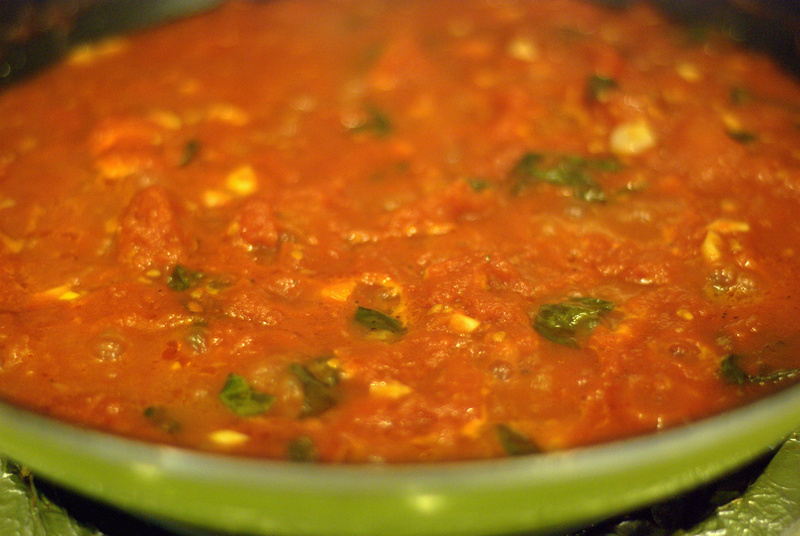 Add the mixture to the dish and make sure it is in a smooth layer going to all edges of the pan. Bake at 375 degrees for 45-55 minutes. The top should be golden and firm. Let stand at least 10 minutes before serving in order for the quiche to set.